As early as 40 years ago, there have been discussions on routing technology, but until the 1980s routing technology gradually into commercial applications. The reason why routing technology is not widely used in the beginning mainly because of the advent of the 1980s before the network structure is very simple, routing technology useless. Large-scale Internet only became popular for the development of routing technology to provide a good foundation and platform. As the network gradually to the public, Internet cafes have sprung up in the streets alley. But with the increase in the number of Internet cafes between competition has become increasingly fierce. And by expanding the scale and lower costs to optimize the operating environment has become an inevitable trend of Internet development. In the past, most domestic mainstream size is the number of Internet cafes in the 60-100 Taiwan PC connected to the Internet through a SOHO router, the network connection has a simple structure, low cost advantage. But with the increase in the number of network PC, the original network access system network frequently dropped, the game was stuck, hacker attacks, viruses, flooding and other issues. Faced with these, Internet cafe owners to consider whether the upgrade over the Internet router. The first is the low performance. To save costs, SOHO routers commonly used general performance CPU, memory speed is relatively slow. In a particular use, there will be slow download speeds, the game will be the card, this is the performance of low performance. Followed by poor stability, easily dropped, and this is the most taboo gamers. 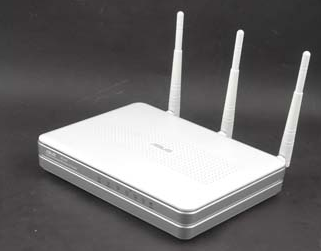 Some SOHO router in a small number of users they can maintain a stable connection; but if the size is increased somewhat, it is difficult to ensure the stability of the network, and when network traffic increases, it will frequently restarted. And SOHO router using ordinary external power supply, when the voltage fluctuations, power SOHO routers can not be guaranteed. The third difference is the heat. Under normal circumstances, SOHO routers are small, there is no reasonable thermal design the machine, and Internet cafes are usually open 24 hours, so SOHO router heat will become a problem. The most direct impact on the router overheating is unstable. Finally, a small number of PC support. Small SOHO router memory capacity (typically 2M-8M), FLASH capacity is small (generally only 1M), a limited number of users supported, essentially carried out the largest number of NAT within 1024. You can do the math, to open a Web page, it takes approximately 10-50 NAT number of processes, so SOHO router supports PC small amount, it is difficult for extensions upgrade. Next: Difference Between AC and DC Welding Machine?